How is it already the middle of July?! The last time I posted was 12 days ago...yikes!! This hiatus has been completely unintentional. But sometimes, it just happens. Work and life are keeping me busy and I wouldn't have it any other way :) Hence why blogging got put on the back burner. I do miss writing and posting but coming home at 7pm and putting a blog post together doesn't work out too well. Alas, two weeks into July- here are my goals. 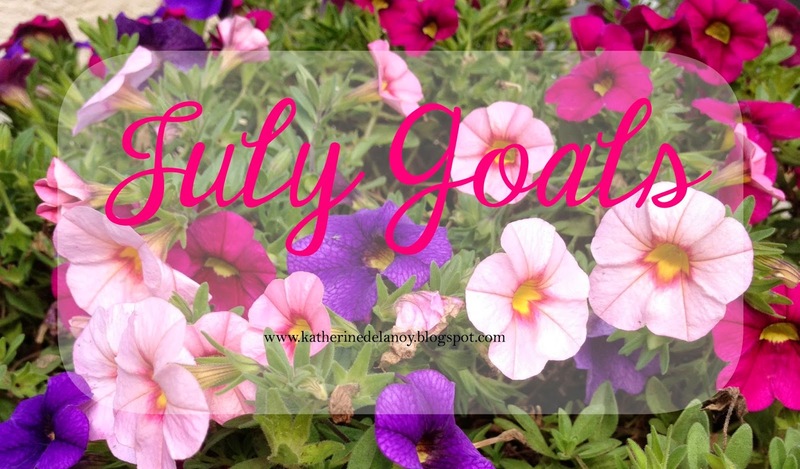 Let's take a look back at June's goals first. Exercise 5 days a week + Clean Eating- need to get back on track- there's no other way to say that :) using the "I'm busy" excuse is no longer acceptable WHY IS THIS SUCH A STRUGGLE?! Does anyone have ideas to get back into the swing of things?? Update the tabs on my navigation bar! Done! Schedule posts and keep up with writing! Er, well, this one didn't happen! Read 2 books and start a summer reading list- this could be a bit of a challenge, but we'll try ;) Does reading one and starting another count?! Have more "girl time" with my besties- this one's a given and needs no explanation :) Yes!! Woohoo! Loved seeing my girls more than just twice a year! At least one beach trip... sand and saltwater is good medicine for this girls soul! We actually tried!! This month it's actually happening! ENJOY JUNE. Sit and soak it all in. Enjoy the little moments. Sunshine, friends, and family. A few pool days and fruity drinks too :) This did happen, so that's all that matters, right?! Easy to accomplish! Hope y'all had a great Monday! No wonder you hadn't posted in a few days- you've been so busy and productive this month!!! Yay for almost being done with summer classes! I wish I had better ideas for getting back in the swing of eating healthy and working out, but it's always rough the first week or so back for me... Once I get past that uncomfortable week, I'm good to go though and so much happier!